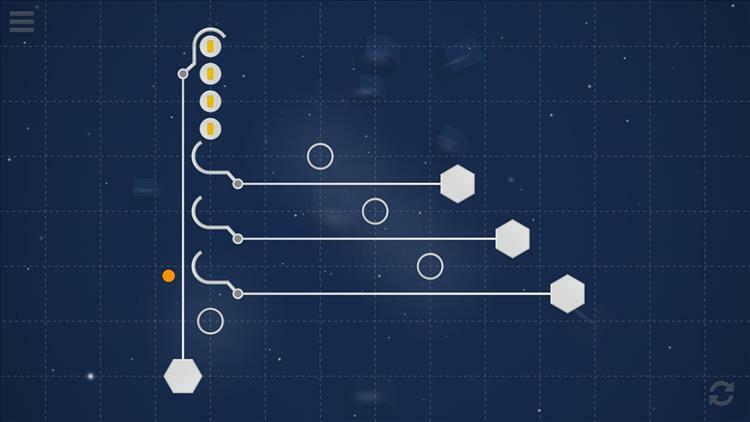 When we took a look at SiNKR, a clever little minimalistic puzzle game, last month, we thought that it would be one of those games that's very easy to pick up but pretty difficult to put down. We were impressed with the approachable gradations in the early stages that simultaneously taught the player the functionality of the game while also providing entertaining puzzles. Even as we worked our way up to the more challenging levels, we never felt that the puzzles were too easy or unfairly hard. You can learn more about SiNKR by reading our preview here. SiNKR was voted Fan Favorite game by the attendees at SIEGE (Southern Interactive Entertainment and Games Expo, USA) this past weekend and releases on Steam for PC, Mac, and Linux tomorrow, October 12, @ 1200 EST for $0.99 USD.